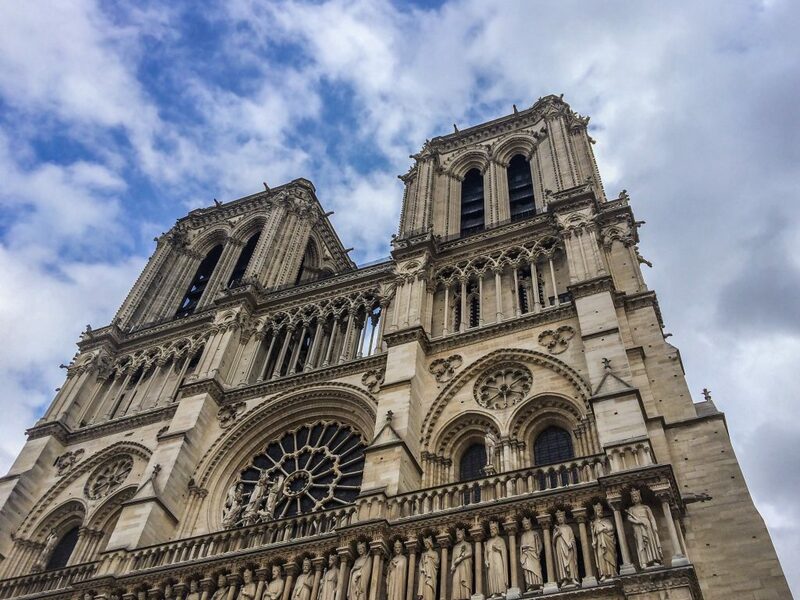 Sweet Memories of Notre-Dame, Paris – Got the Passports? It is with such shock and sadness that I write as Notre Dame’s last flames are being doused by desperate firemen in the heart of Paris. 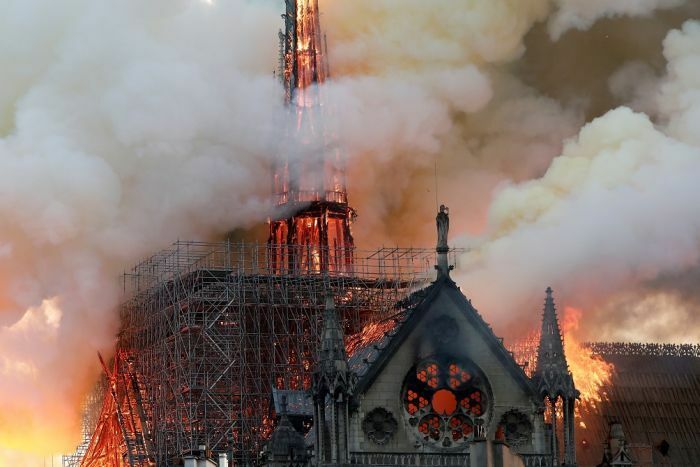 The incredible, 800 year old cathedral sadly caught on fire early this evening, sending the world into a state of shock as the exquisite building burnt spectacularly and dramatically across the French capital’s sky. 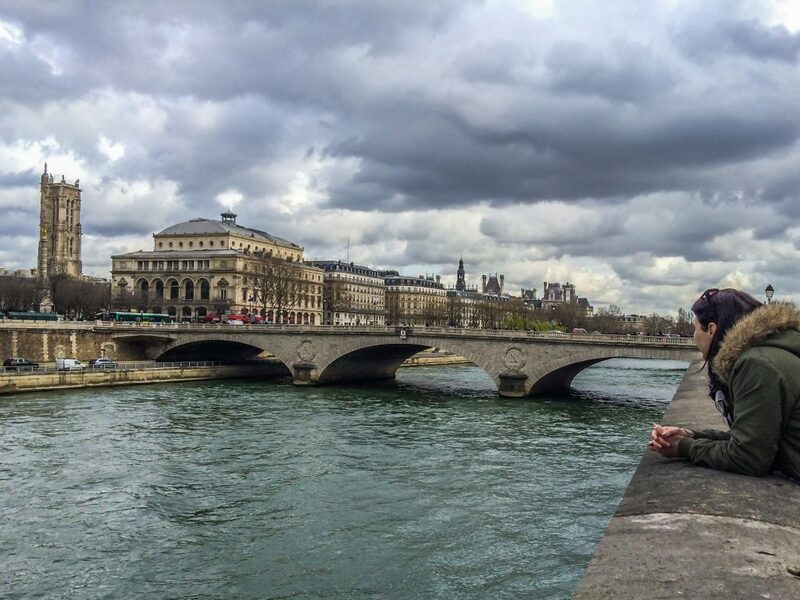 The church may form part of Paris’ skyline, but it’s more important than simply being “pretty”. 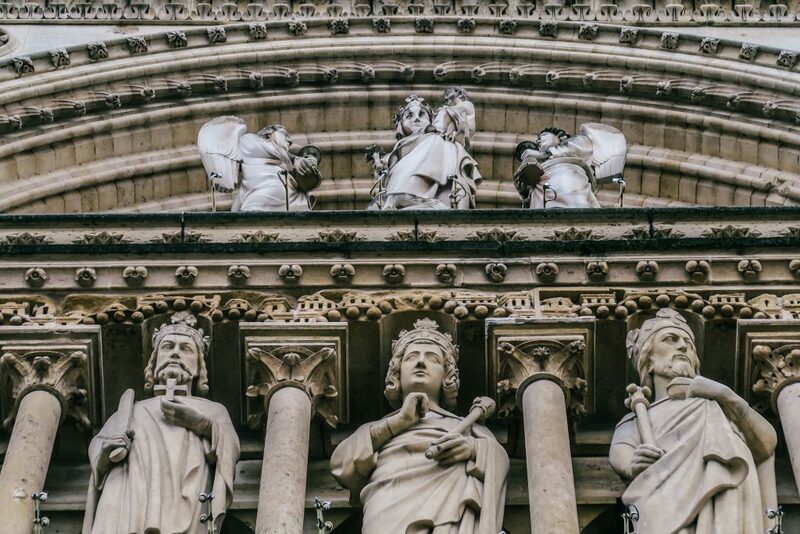 Here are 5 facts worth knowing to give context as to why the Catholic cathedral is so beautiful, wonderful and important. 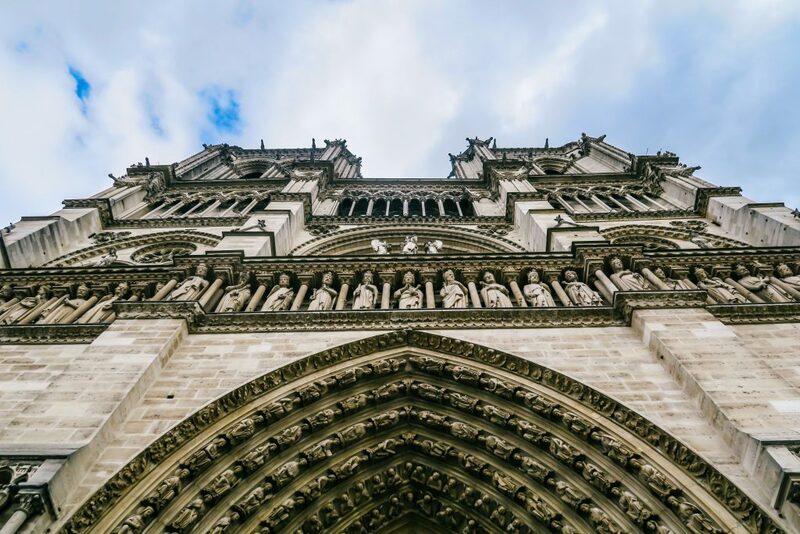 One of the best examples of French Gothic Architecture which illustrate the “flying buttress” style of vaults, which allowed the weight of super heavy roofs to be assisted by the external vaults which allowed churches to be way higher and have bigger windows than every before. 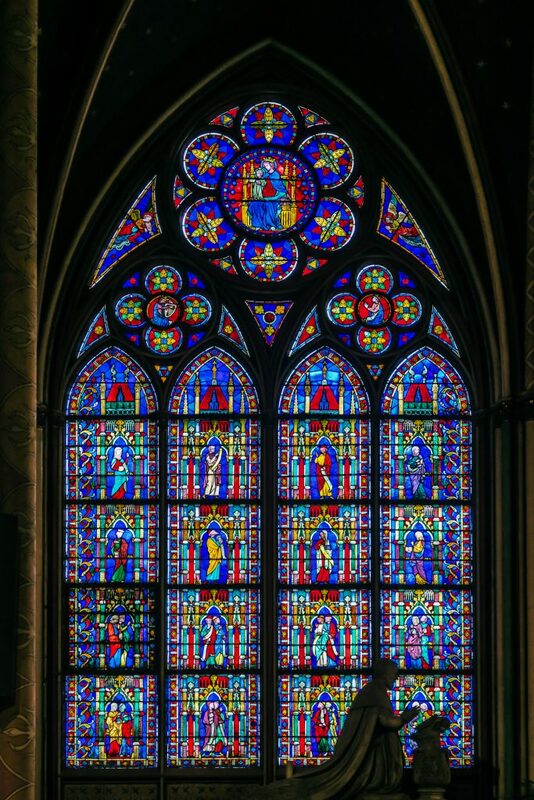 It was started in 1160 and completed in 1260 – that’s 100 years of building = 2, 3 or 4 generations of workers! 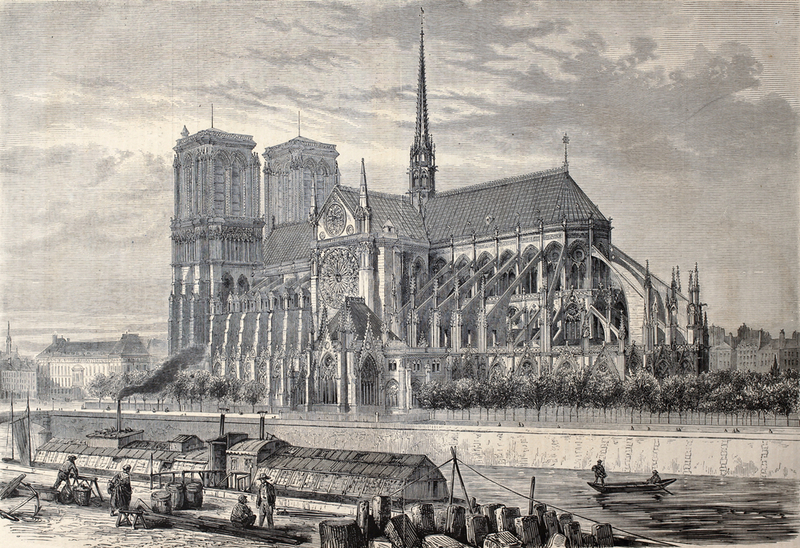 The Hunchback of Notre Dame published in 1831 prompted a major restoration of the building, which included the edition of the famous spire from 1844 – 1864. 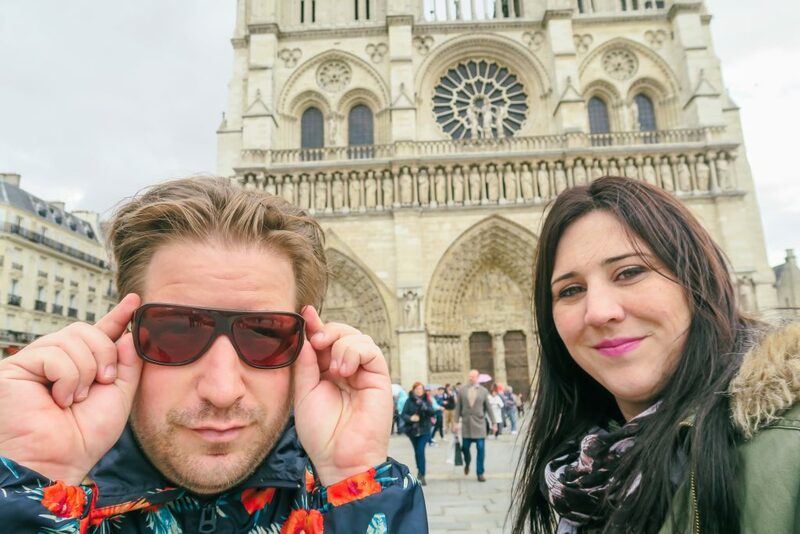 12 million people visit Notre-Dame yearly, I was one of them in 2016 and 2001! 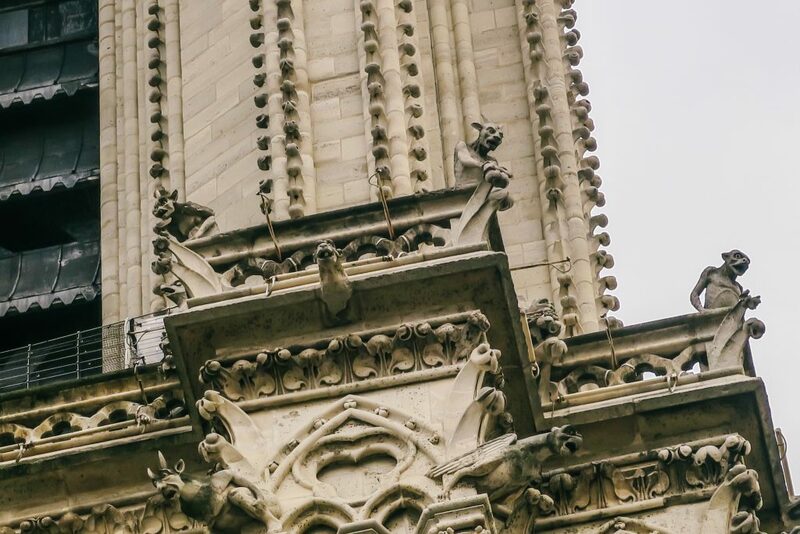 The gargoyles are actually rain spouts designed to redistribute the rain water away from the cathedral to preserve the stone work. 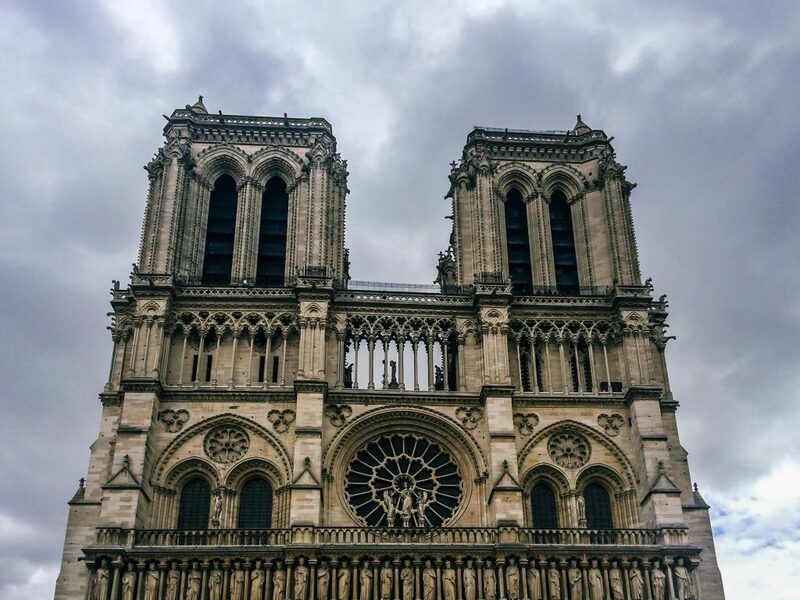 The first time I ever visited Notre Dame was in 2001 when my Mom and Dad took me to Paris for the first time. I was moving to London like do many youngsters do and had the privilege of visiting the French city. 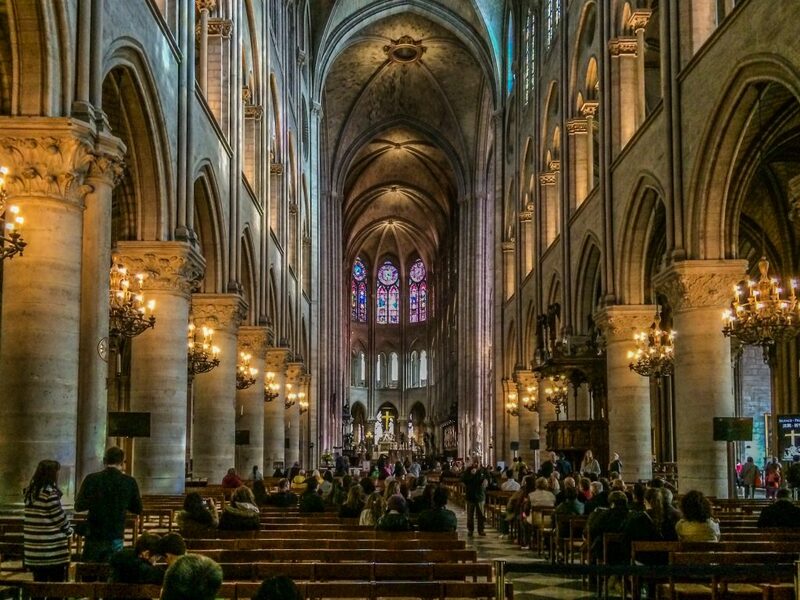 I recall standing under the gables of the famous church, staring up at the gargoyles on display as well as all the people surrounding the front door with sinners going to hell and the good people to heaven. When Mr John and I were deciding where to go for our honeymoon, Barcelona was a strong contender. LOADS of Capetonians go to Barcelona, which is a good and a bad thing. Good because it’s great for us to travel, but bad because I’m trying to leave Cape Town to see the world, not run into a million people I know! So my winning argument was, “It’s London, Paris, New York my love. Not London, Barcelona, New York.” And boy, today, am I glad we chose Paris. When I had initially visited in 2001 we had not gone inside the church, which we now had the time to do on our honeymoon. The queue may have been long, but it moved quickly and we were able to enter the church in no time. I loved seeing all the architectural lessons I’d learnt in art class right in front of me in this special, beautiful location. 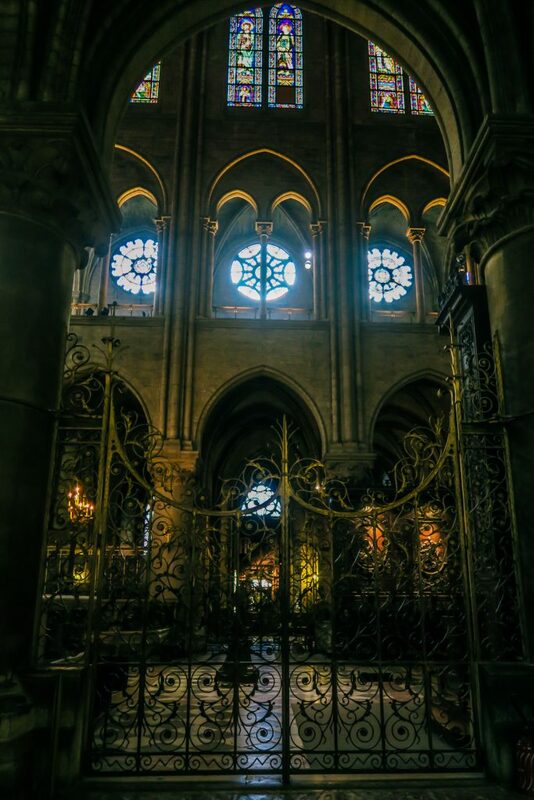 We were last in the shadows of Notre Dame on the 29th of March 2016. Honestly, 3 years feels like 3 months. 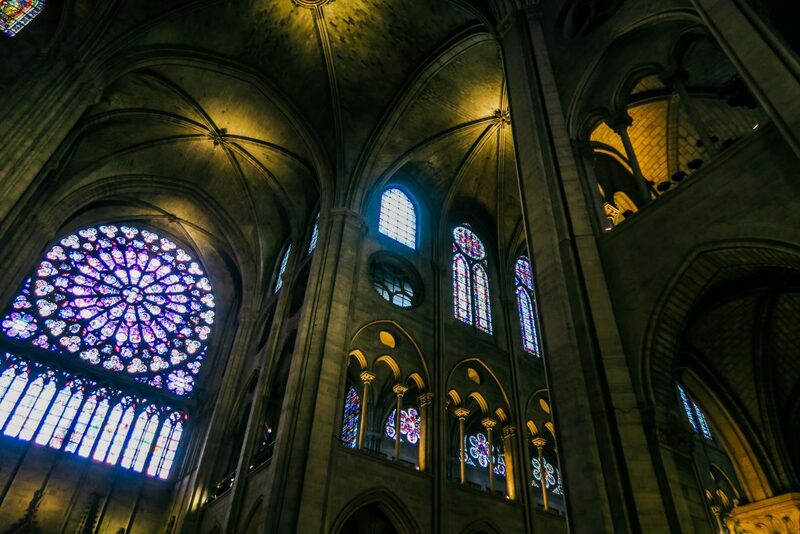 Our travel memories are so visit and having read Pillars of the Earth, I’ve been given a real sense of how incredible the process is of building a cathedral. It’s LITERALLY takes hundreds of years and that alone is something to behold.